Mansur Gavriel took the fashion world by storm last year with the release of their sleek leather handbags with colorful interiors. One of the most popular bags of their line was this bucket bag with its chic look and contemporary style. While this bag is minimal at its best and is priced much better than other designer bags, it is still on the high-end. 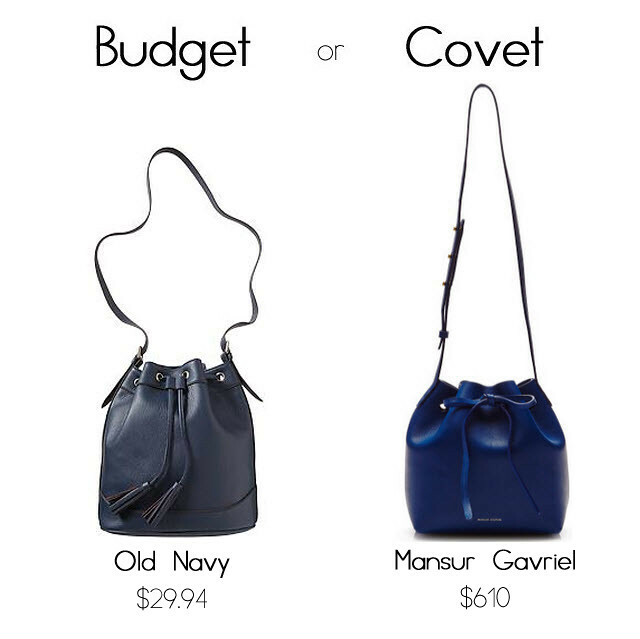 For a much lower price, Old Navy offers a bucket bag that comes in a similar blue hue. While it may not be as sleek as the Mansur Gavriel, it portrays a similar style and is much friendlier to your wallet.